See the great work some of our DIY customers are doing and get inspired to do your own project. The possibilities are endless, let your imagination get the best of you! Wade put on a 24g. Klip Rib roof on the new addition to his families home in Longview, WA. This was the first metal roof he installed and he didn’t pick the easiest type, but we were able to help guide him to a beautiful roof! 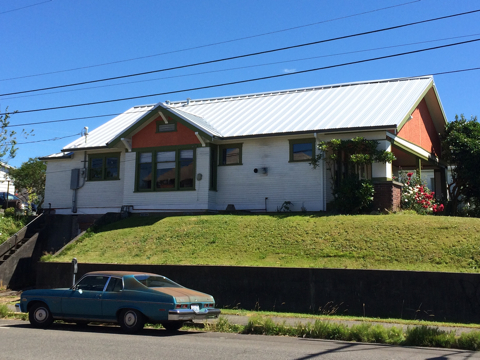 After his addition project is complete, he plans to put the same metal roof on the existing home, shop and garage. We love what you’re doing Wade – keep up the good work! Greg installed this 26g. standing seam metal roof on his awesome shed, which fits perfectly in its environment surrounded by trees. Way to go Greg, our hats are off! Like so many, the Doyles wanted a unique and functional display for their raised garden beds, and we believe they have accomplished just that. Wayne built this treehouse for his daughter Jessica, what a lucky girl! Rueben wanted to create a durable wainscoting wall area for his kids fun room, and he accomplished that and gave this room a super fun, modern look at the same time. It’s an inspiration Rueben! 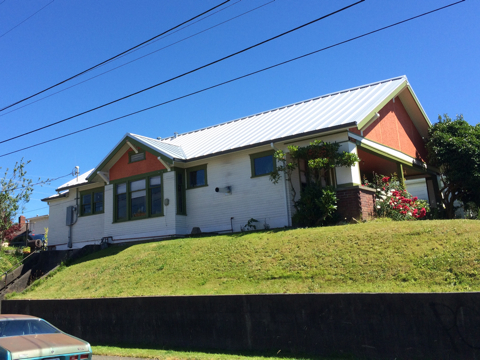 Snowboarder, World traveler, Ceramics artist extraordinaire and now experienced Metal Roofer to add to the list…..Mike and a couple friends installed this 26 gauge Skyline 16” striated Zincalume metal roof on his Olympia home, and a great job they did! Mike and Haley loaded up the Subaru for project #2 - go Mike!